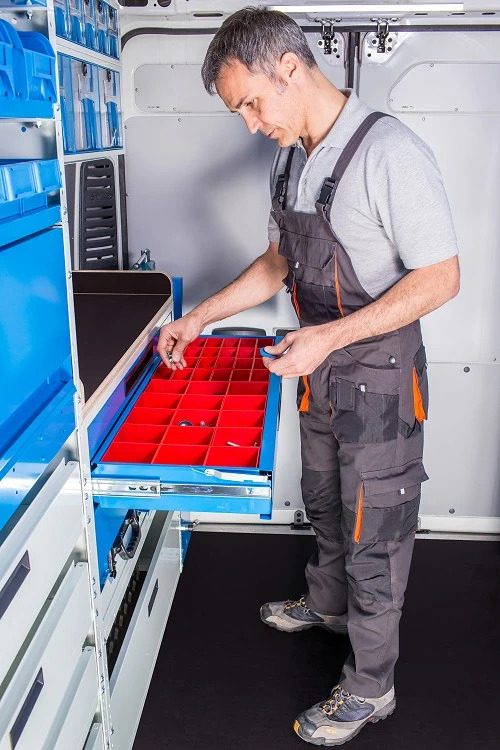 Syncro drawer units have been designed for installation on commercial vehicles: automatic dual docking system, flat front panel with flush handle, ball-bearing telescopic slides in order to maximize space and durability. 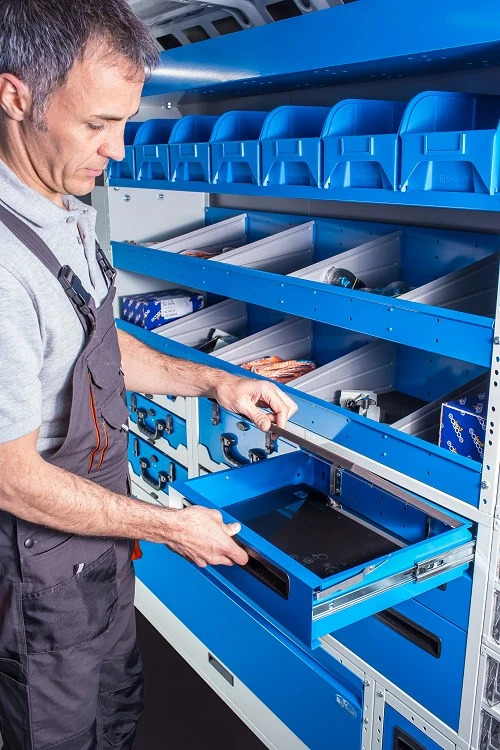 Syncro drawer units are provided with an automatic dual locking system: once the drawer has been pushed back it automatically locks. 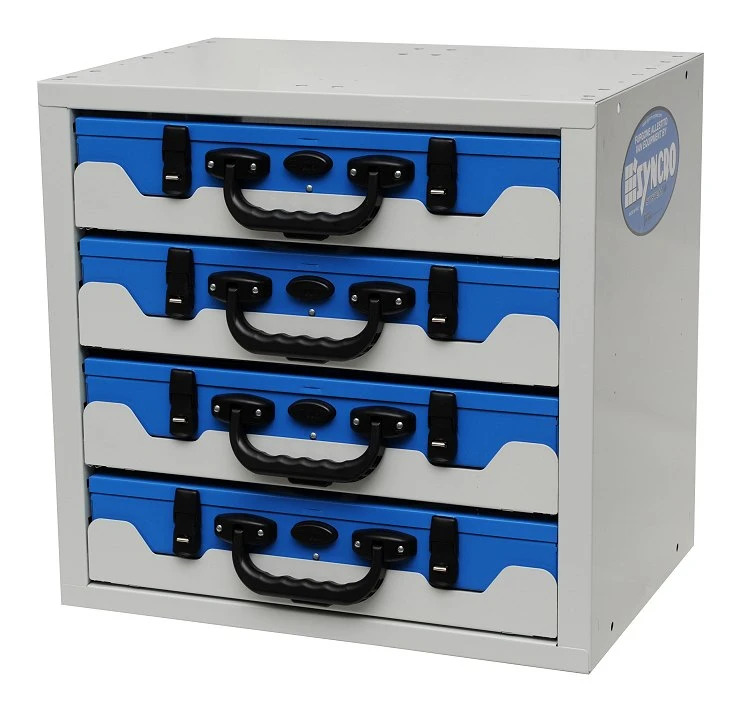 They can be fitted with various drawer sizes with height from 66 to 200 mm. 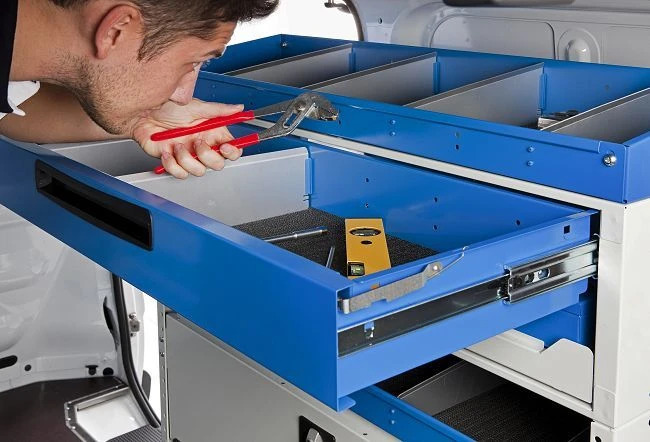 All drawer units have our “CUT-THROUGH” design to reduce weight without losing all round robustness. 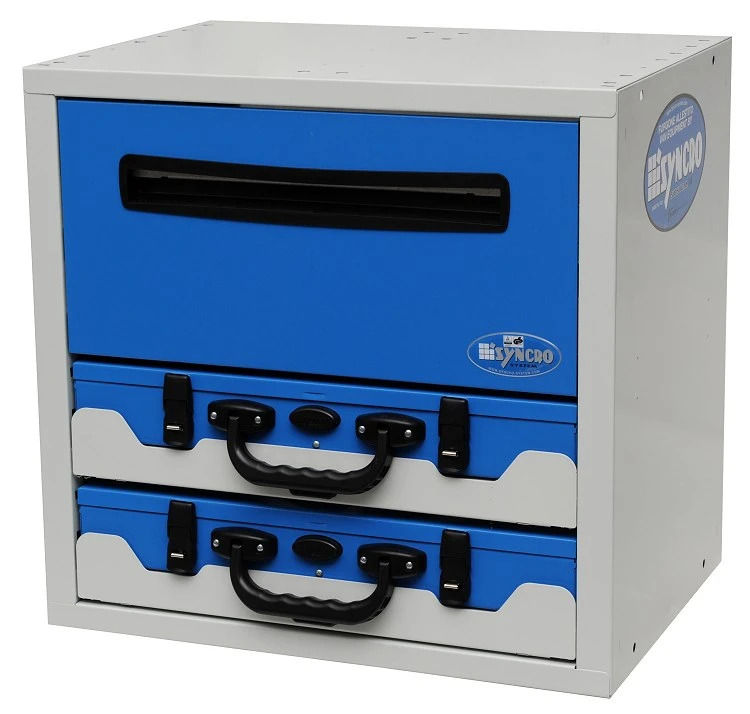 All drawers are mounted on telescopic ball guides. 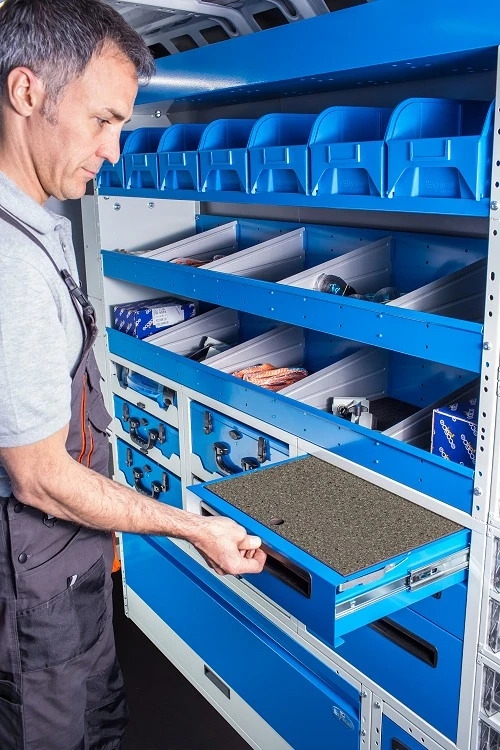 The drawers can be pulled out further than the actual depth of the unit so you have complete access to your stored items. 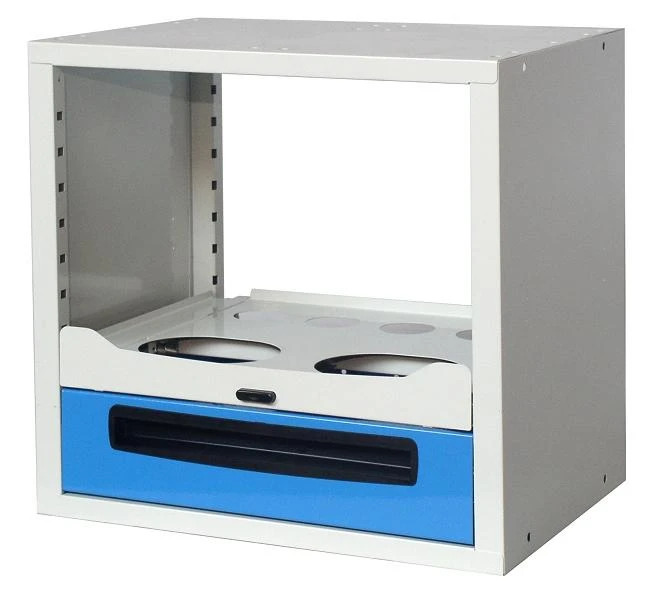 This type of guide is safe, silent and lasts in time. 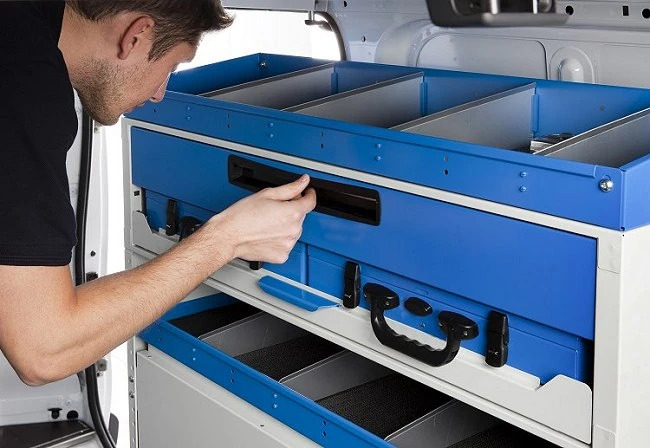 Easy access to the drawers, even without entering the van. 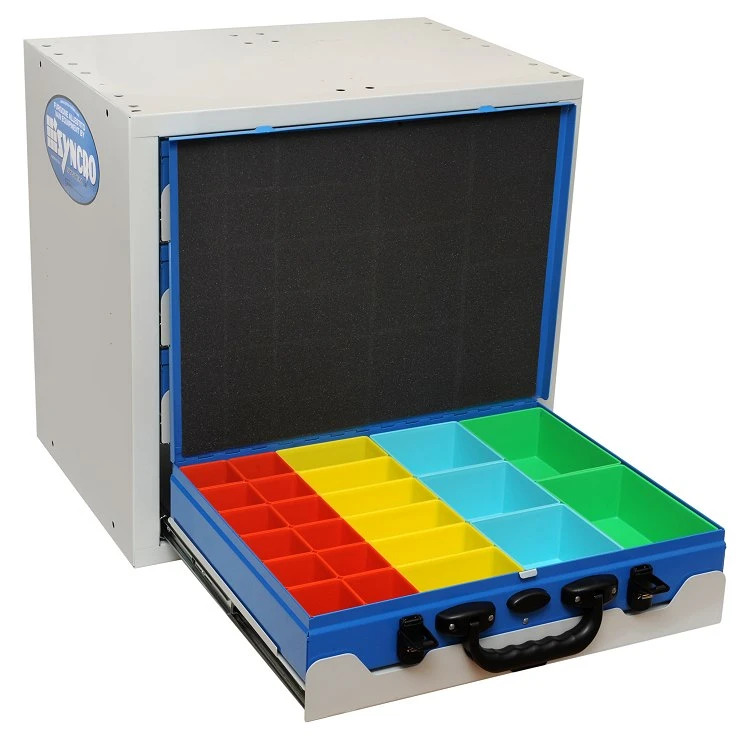 • Come complete of dividers and anti-slippery mats. • Automatic blocking system when you close it. 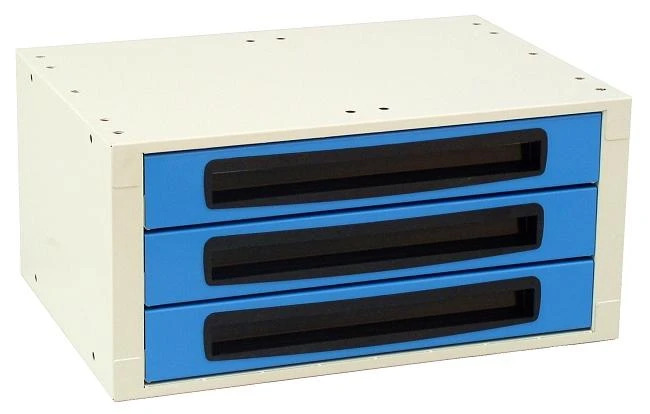 • Completely modular with Syncro System. 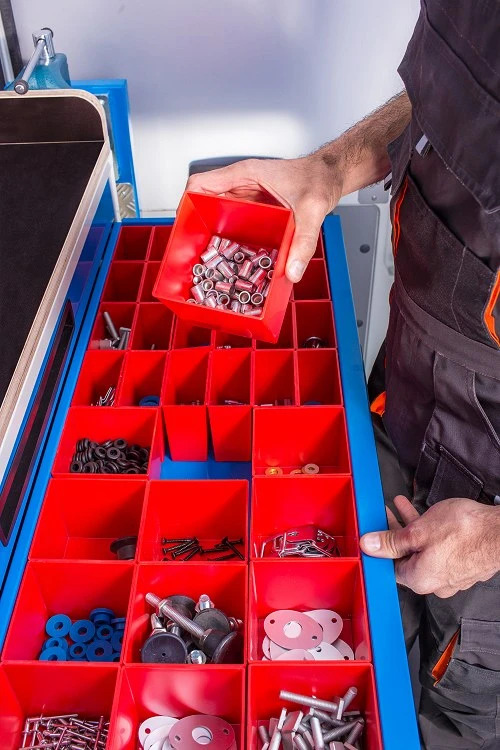 PLASTIC BINS FOR SMALL PARTS. 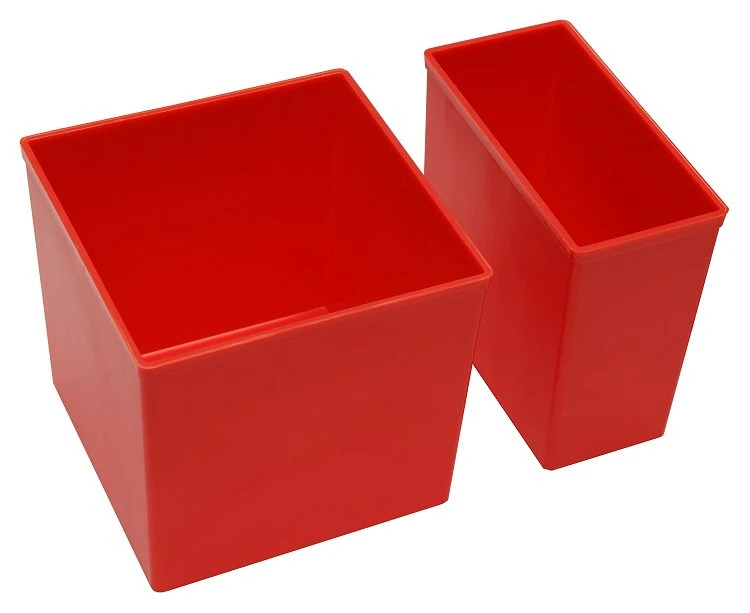 Our plastic bins are available in 4 modular dimensions. 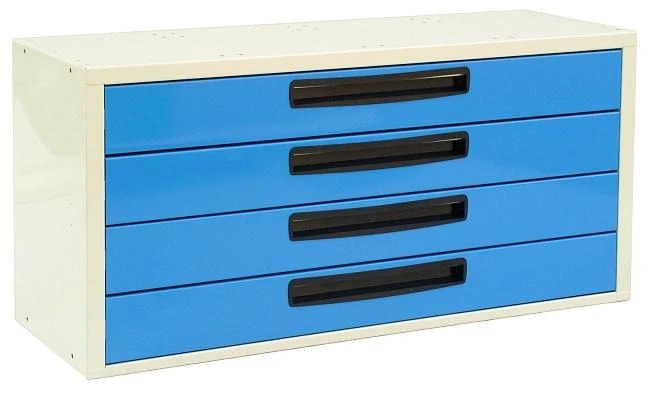 They are designed to perfectly fill the drawer. 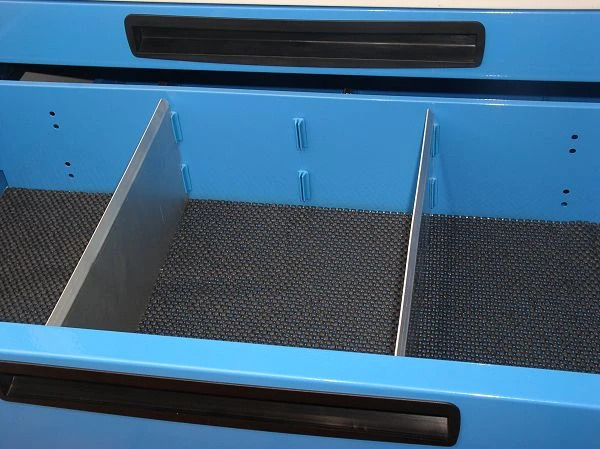 Designed to provide the maximum grip to the goods inside the drawer. They can be washed on any washing machine. 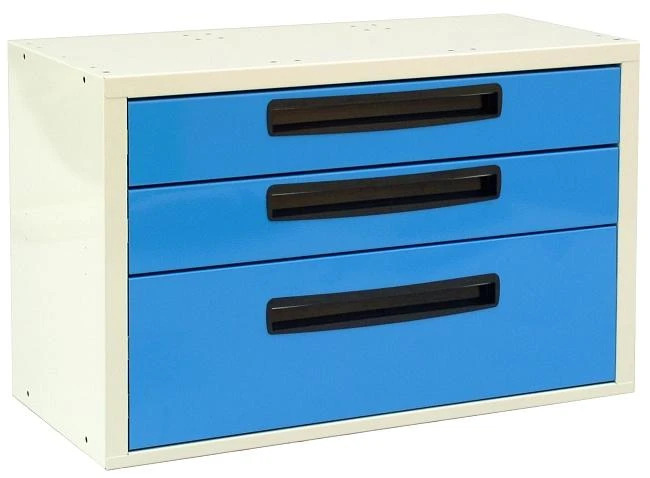 Convert any drawer into a practical pull-out desk for writing or using a laptop. 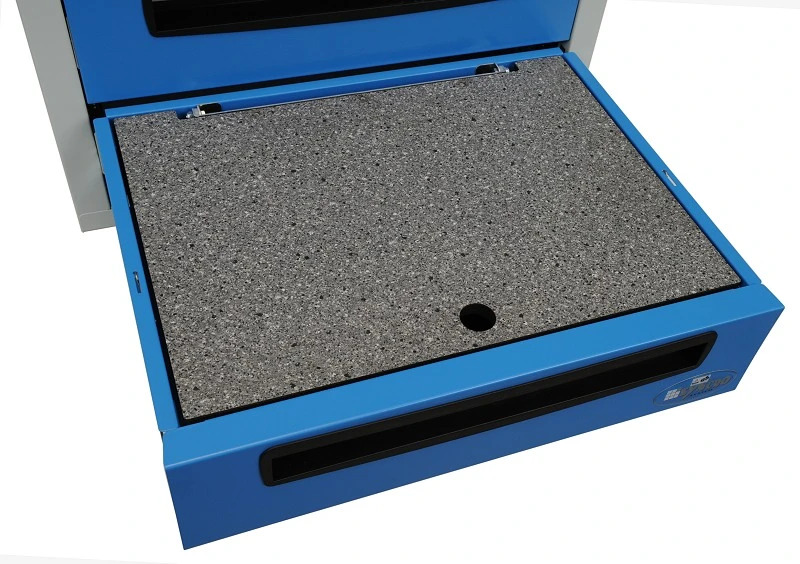 The plywood board can be raised to provide access to the drawer itself. 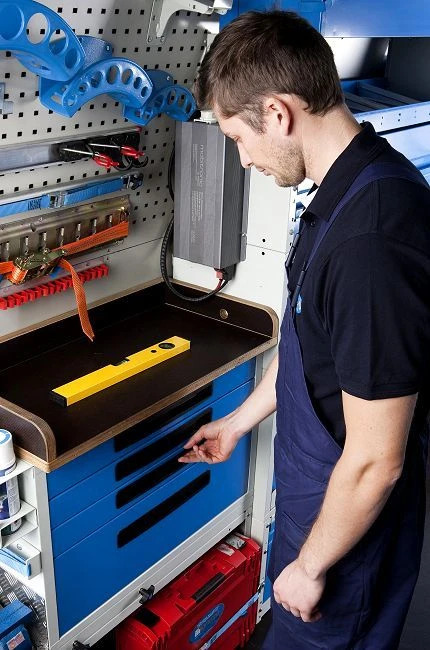 The board fits all drawers of 66, 100 and 130 mm in height. 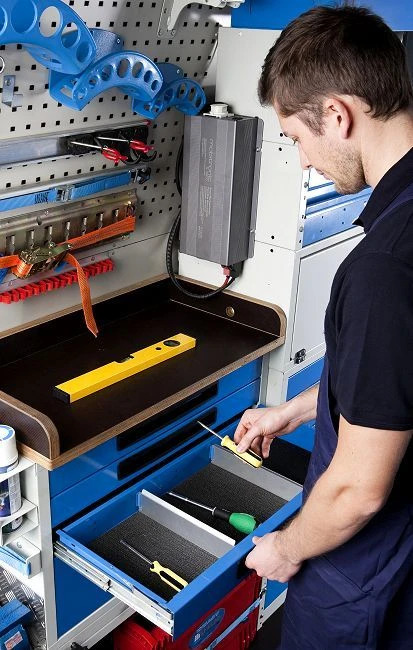 The kit includes a 12 mm thick resinated plywood board, hinges for the back of the drawer and two stops for the front of the drawer. 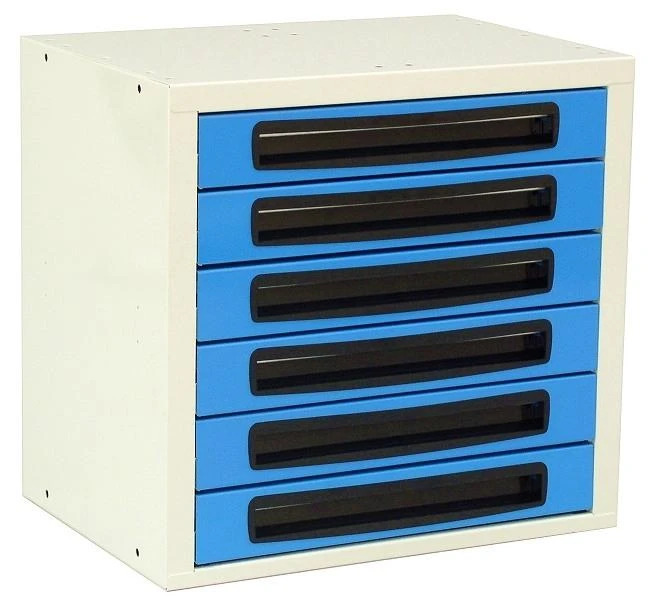 Chest of drawers for vans cabinets for vans Van equipment. 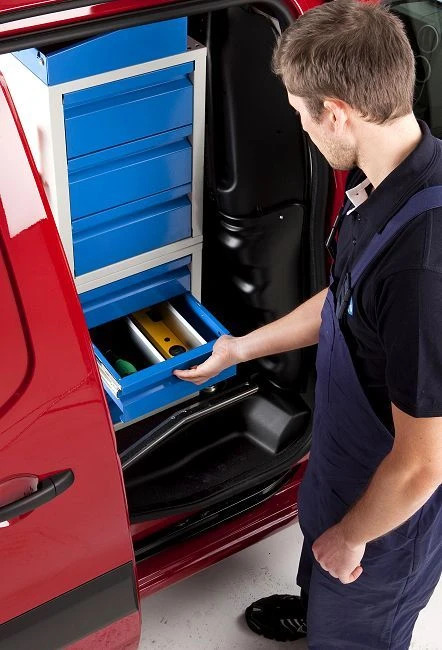 Strong and handy cabinets and chest of drawers for vans.